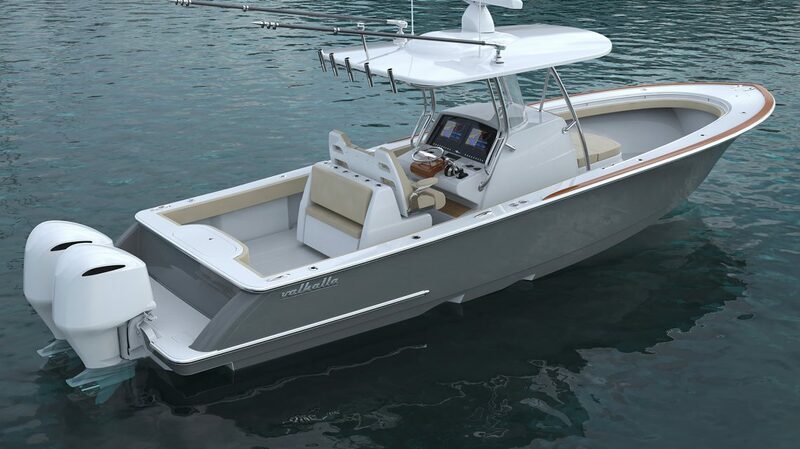 Valhalla Boatworks was developed to allow our dealers and customers to fulfill a strong desire for high-end center consoles built by the Viking Yacht Company. 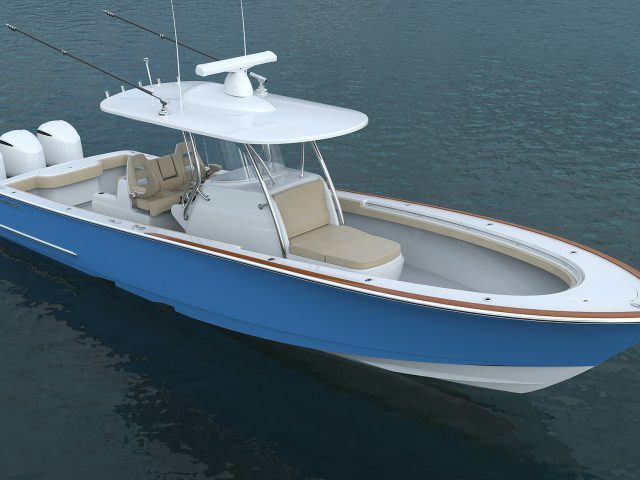 It’s a very exciting time and another important chapter in our history of building a better boat every day. -Viking President and CEO Patrick Healey. 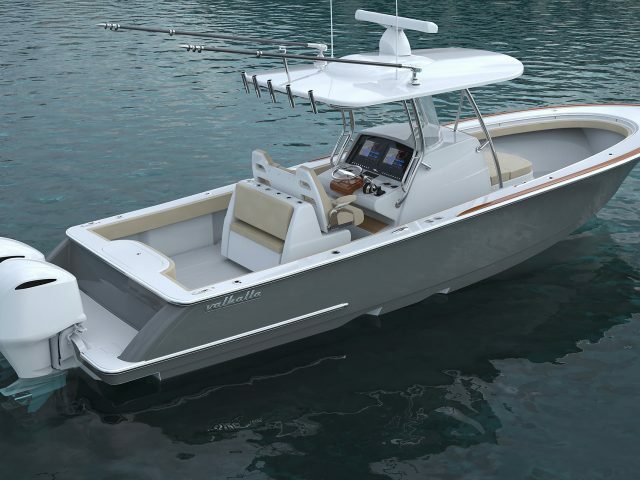 It’s the most advanced and proven stepped-hull design in the world. The twin steps and tunnel not only give you fast and efficient performance but also precise handling and a very stable ride. -Viking Design Manager David Wilson. 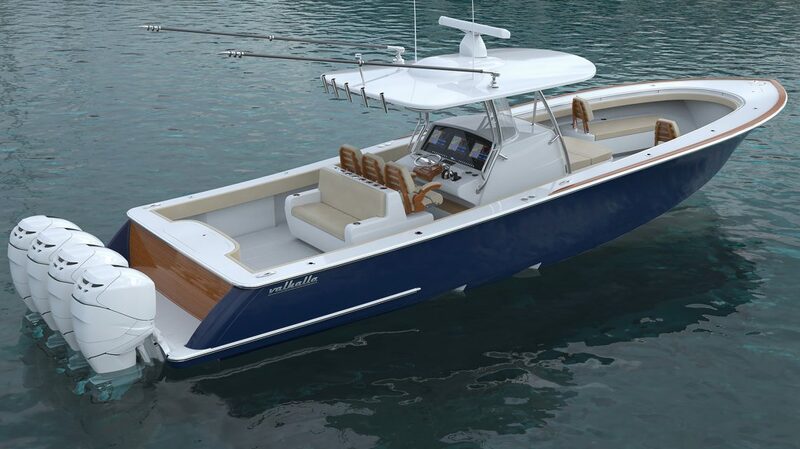 The Valhalla Boatworks V Series was officially announced at the Viking VIP Preview February 1 and 2 in Riviera Beach, Florida, and will debut at the Viking Dealer Meeting and Sea Trial Event this fall in Atlantic City, New Jersey. 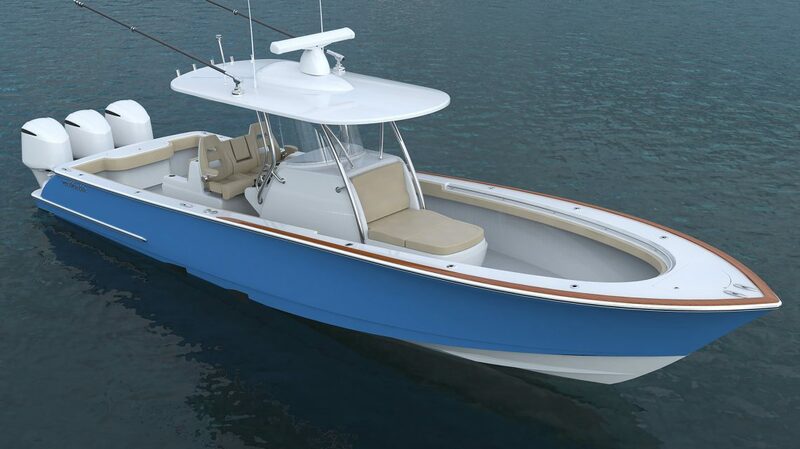 The 37’ and 33’ will be introduced to the boating public next August with the 41’ following shortly thereafter. If you are a customer for whom only the best will do, contact one of our brokers. 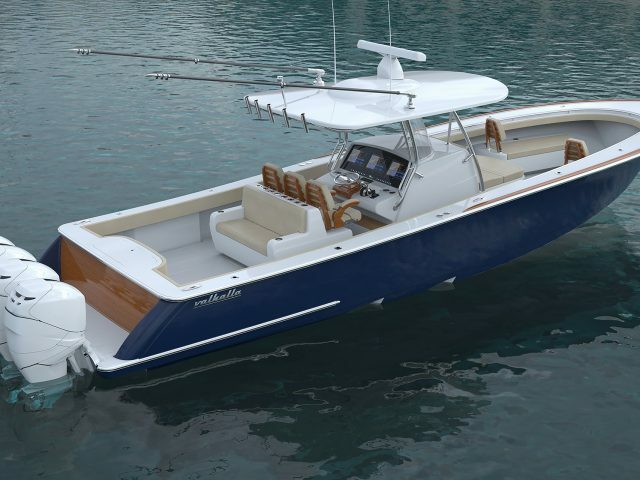 When this boat comes in, expect your socks to be blown off! You can find Valhalla Boatworks at..